Have you ever fought against the evil caveman? If no, it is your high time to show off your best skills in order to overcome the evil power in the stone age. Donald the Dino is searching for his girlfriend who is imprisoned and there is no power that will stop him and tear apart the desire to see her again. Hit the play button and join the most interesting mission in order to save the pure love from evil caveman’s paws. 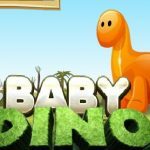 The game Donald the Dino offers the vast array of epic things that should be experienced.